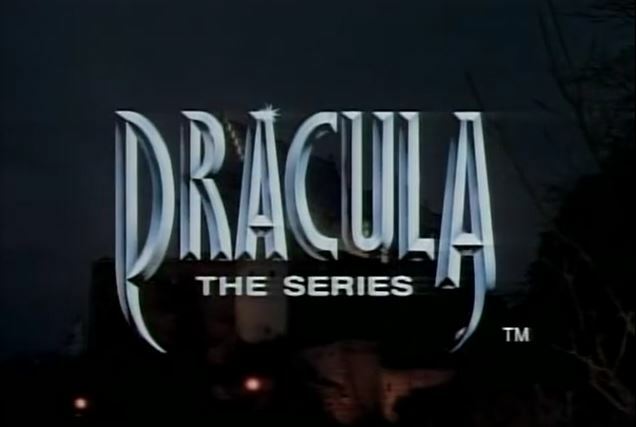 In Dracula the Series episode 19, “Bats in the Attic,” we’ve got… I’m not sure what we’ve got. Cemetery plot: A rouge vampire is in town, creating one too many zombies and letting them loose among the populace. Lucard (a.k.a. Dracula) wants to put a stop to this. Young Max befriends Lawrence, a local bookshop owner, who is a fellow vampire expert. Lawrence works for Alfred, the rogue vamp Lucard is hunting. During the final confrontation, it’s revealed that Lawrence and Alfred are the same person. He developed a split personality because he couldn’t handle becoming a vampire. 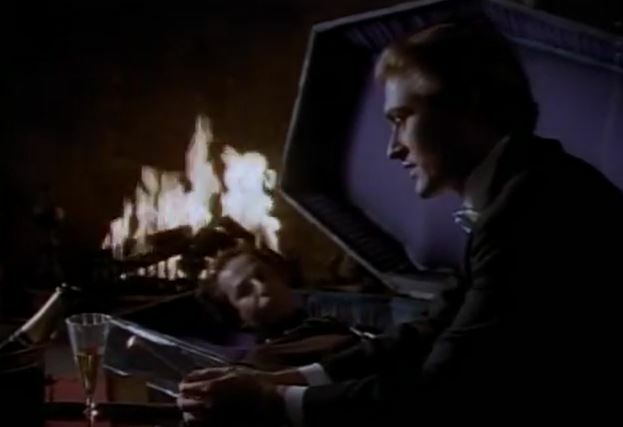 Max escapes, and Lucard seals Lawrence up inside his coffin for an eternity rather than kill him. King of the vampires: Lucard isn’t happy about a rogue vamp randomly creating zombies, arguing that too many vampires are a bad thing. Blood brothers: The B-plot has Chris and Sophie collaborating on a song. He wants to rock out, but she argues that European audiences are more sophisticated, and want music that’s more poetic and artsy. The new Mina: Although Sophie said she was going to give Chris some space a few episodes back, Sophie is really flirty with him in this episode. So, I guess the romance is back on. Stake master: A C-plot in this episode has Uncle Gustav sitting down to write his memoir, about a lifetime of vampire hunting. He doesn’t get very far, with a running joke about him not being able to come up with a good first sentence. Slayer’s handbook: We’re told that a vampire can be permanently trapped inside a coffin if it is sealed with a silver hammer and nail. This is exactly how Lucard traps Lawrence at the end. 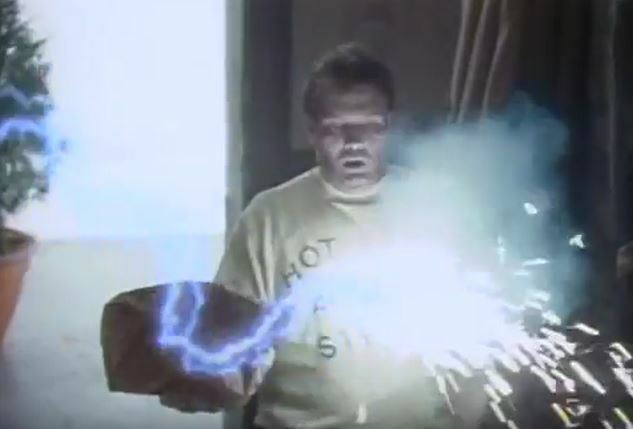 Also, the Cross of the Magus, which magically protects Gustav’s house from vampires, also works on the zombies, frying a zombie delivery boy (it’s wacky!) who shows up at the door. 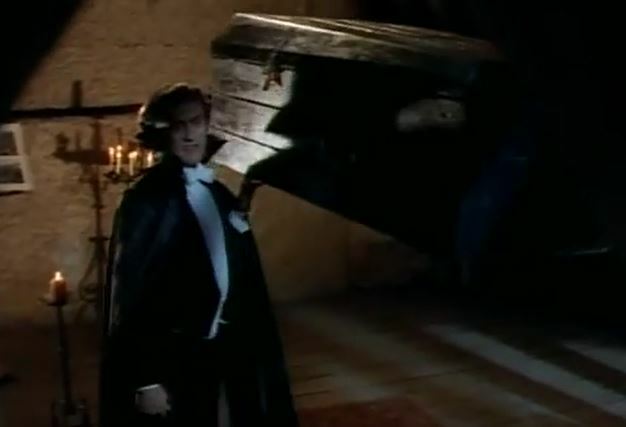 Behind the screams: The stunt coordinator for Dracula the Series was a fellow named Minor Mustain. He’s performed and coordinated stunts on a long list of TV shows and movies, including the thriller Gothika, the cheesy action flick Steal, and John McTiernan’s remake of Rollerball. He also took a shot a directing, with episodes of Sirens and Viper. Bite me: A weird episode that doesn’t quite work, but is interesting enough because you’re never sure where the story is going. There’s a plotlessness to it, but that somehow works in its favor.